New car unveilings are like movies, with just as many teasers. Take the 2013 Nissan Altima, which has already been teased three times. Nissan showed close-ups or the taillights and front end before releasing this profile view. Hopefully all the anticipation will pay off when the Altima hits showrooms, and takes on America’s best selling car. 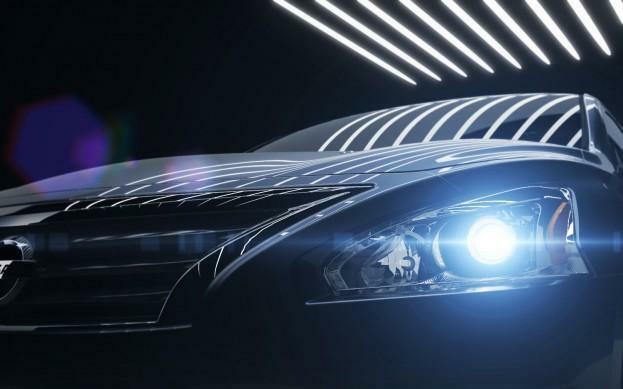 The teaser image (above) reveals a sedan with more dramatic styling than its main rival, the Toyota Camry. The wheel wells bulge out of the body, suggesting sporty aggression, and the front and rear overhangs look pretty short for a mainstream sedan. Overall, the Altima looks like a smaller version of the Nissan Maxima, which is not a bad thing. The blunt front end, bulging hood, and 370Z-like headlights definitely echo the Altima’s big brother. People with eyes will be happy to know that styling is becoming more important in mainstream models. Through the ‘90s and ‘00s, the mid-size sedan segment was ruled by plain (and boring) designs that followed the Camry and Honda Accord. Now, car companies are experimenting with new designs to stand out in a crowded marketplace. Hyundai and Kia set the bar fairly high with their Sonata and Optima, and Ford is bringing out a gorgeous new Fusion for 2013. 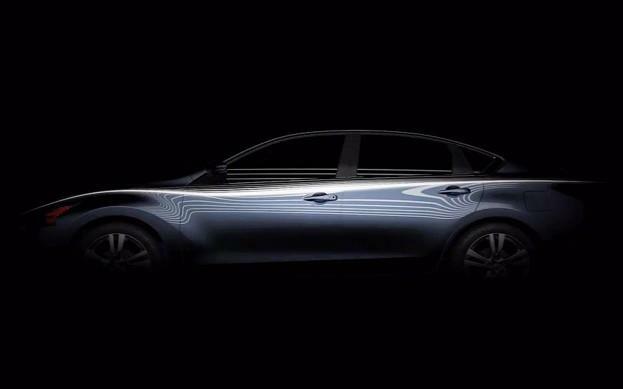 Based on the teaser images , it looks like Nissan is off to a good start with the Altima. Of course, a good car has to be more than a pretty face. While some companies are dropping their V6 engines, Nissan will probably retain its popular VQ V6 as the Altima’s optional engine. The VQ is used in everything from the 370Z sports car to the Pathfinder SUV, and makes 270 horsepower and 258 pound-feet of torque in the current Altima. The 2012 Camry’s V6 makes 268 hp and 248 lb-ft of torque. Base models will likely get a four-cylinder engine. On the green side, the Altima will also get a brand new hybrid system for 2013. The previous Altima used a system designed by Toyota, but Nissan developed this one in-house. The hybrid powertrain will consist of a 2.5-liter supercharged four-cylinder gasoline engine, an electric motor, and a new continuously variable transmission (CVT) called Xtronic. Nissan says the supercharged hybrid will produce the power of a 3.5-liter V6, while matching the Camry Hybrid’s 39/43 mpg city/highway rating. Last year, the Camry was America’s bestselling car (not including trucks), while the Altima was number four. Will the new model change that order? The old Altima was a bit of a hot rod, often posting the fastest acceleration times in comparison tests, although it lacked the sensory-deprivation-level refinement of the Camry. If Nissan can fix those faults and retain the Altima’s sporty character, it might have a winner. We’ll get a better view when the Altima makes its public debut at the New York Auto Show in a couple of weeks. Opinion: Why does AT&T have such a bad attitude?